Devil May Cry 5 (game, 2019). An action-adventure hack and slash video game by Capcom/CAPCOM CO., LTD. Developed by Capcom, Devil May Cry. Official Trailer. 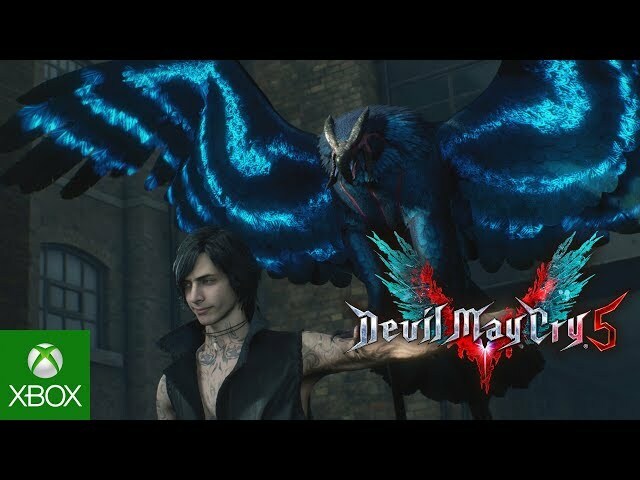 Devil May Cry 5 is an action-adventure hack and slash video game by CAPCOM CO., LTD. and Capcom, developed by Devil May Cry and Capcom. 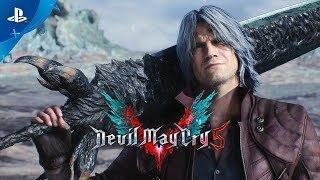 Devil May Cry 5 - Final Trailer | PS4. Five years after the events of Devil May Cry 4, Nero has set up his own demon hunting agency based out of a van adorned with a neon "Devil May Cry" sign Dante gave him with support from Kyrie and his engineer, Nico. On April 30, Nero encounters a dying demon who rips off his Devil Bringer arm and uses the Devil Arm Yamato to open a portal to escape in. A few days later, a man known as "V" comes to the Devil May Cry office to hire Dante, Lady, and Trish to kill a certain returning demon. 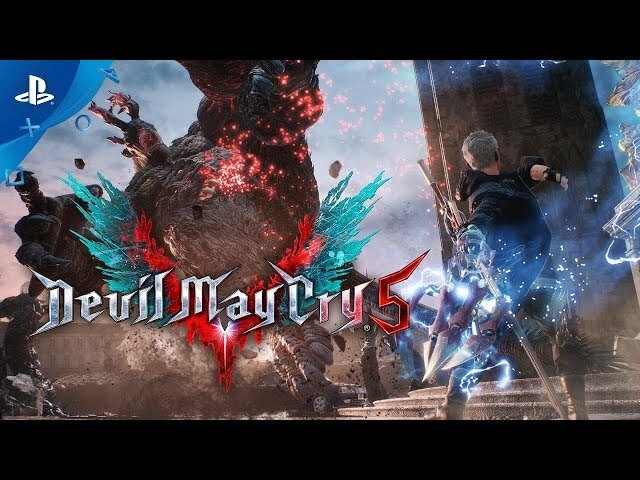 The group arrive in Red Grave City on May 16, crossing paths with Nero as they share the same target: A demon named Urizen who has planted a demonic tree called Qliphoth in the city, which is killing people for their blood. The assembled group attempt to attack Urizen together, but the demon overpowers them all; Dante is ultimately defeated and ejected from the Qliphoth with his sword Rebellion shattered, Lady and Trish are captured and turned into cores for the demons Artemis and Cavaliere Angelo, and V and Nero escape to safety. A month later on June 15, Nero returns to Red Grave after being outfitted with the "Devil Breaker" prosthetic arm Nico made for him. Nero meets up with V after besting the demon Goliath, who is seeking Qliphoth for its fruit - born of condensed human blood - which makes whomever consumes it the king of the Underworld. As the pair destroy the Qliphoth's roots while searching for Dante, Nero defeats Artemis to rescue Lady while V slays the demon-parasite Nidhogg, later aiding Nero against the root construct Gilgamesh. V rejoins Nero after learning another demon, Malphas, is also after the Qliphoth's fruit while seeking the Devil Sword Sparda in fear of its namesake's descendants acquiring it. V splits off to find the Sparda first and discovers it along with a hibernating Dante, whose presence was being hidden by the sword. V awakens Dante by threatening to stab him with the Sparda. 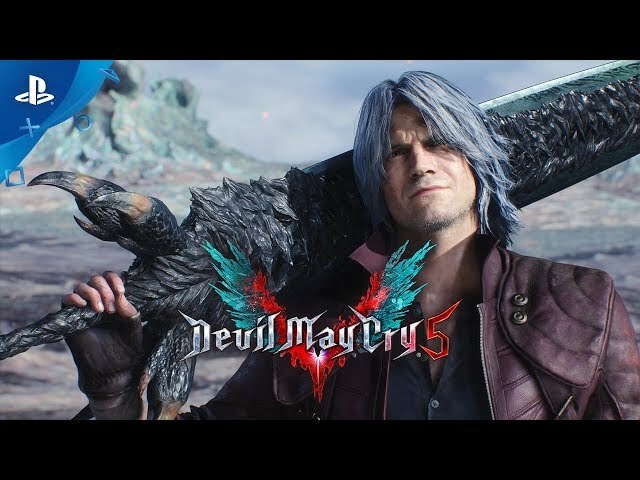 Devil May Cry 5 was scheduled to be released by Capcom and CAPCOM CO., LTD. on March 7, 2019 and on March 8, 2019. The game is made with RE Engine engine.